Deep in an abandoned underground government research center lives a terrible abomination known as the Particle Acceleration Manifestation. Colloquially referred to as the “Pac Man”, this mutated creature is the result of genetic engineering, radiation-driven mutations, and years of torturous experimentation from its creators. One day, the Pac Man got loose, attacking and eventually devouring the team studying it. The government deemed the project too dangerous to continue, and sealed up the facility. 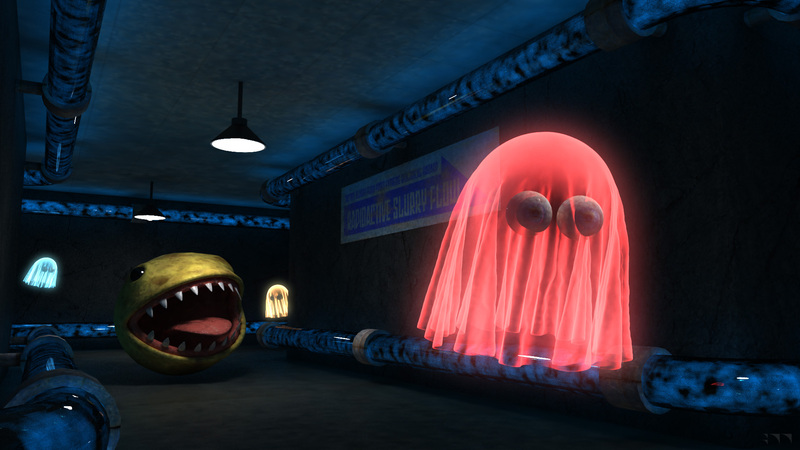 It’s rumored that the ghosts of the scientists who created this monster still roam the maze-like halls of the laboratory, and to this day, the Pac Man chases their spirits, determined to eternally torment the researchers who created it.